Heat oven to 425°F. Place rolls on ungreased cookie sheet. Bake 4 minutes. Meanwhile, in small bowl or measuring cup, mix oil, rosemary and garlic powder. 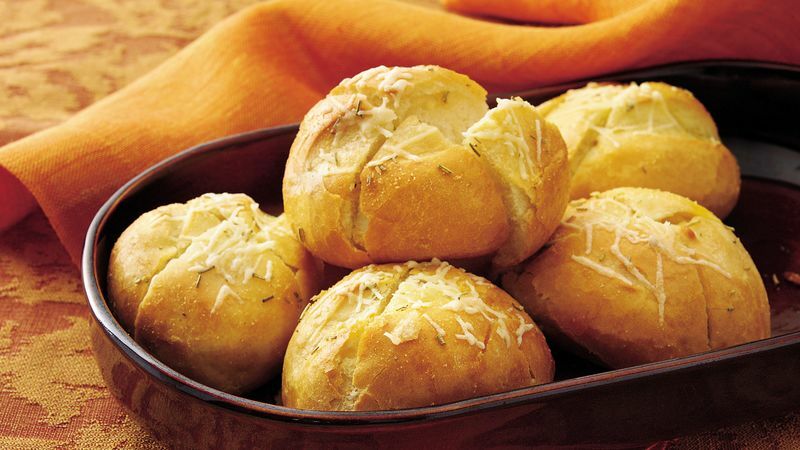 Remove rolls from oven. With serrated knife, carefully cut X shape in each roll, cutting about halfway through. Generously brush oil mixture over and into each roll. Sprinkle with cheese. Bake 2 to 3 minutes longer or until golden brown. Serve warm. If you are really in a hurry, just omit the cutting step and brush the tops of the rolls with the olive oil mixture.